There are a lot of smart, pragmatic reasons for renting a home when you are new to a city. It can be helpful to get the lay of the land, learn the neighborhoods, settle in a bit. Wait to find the perfect house to buy. But, as the inventory of homes available to buy is shrinking on Bainbridge, I am seeing more and more folks who never ever planned to rent enter into a rental or temporary housing here on the island. They are what I call the unintentional renters. When we moved here I KNEW there was no way I could rent. Any viable option that we had was icky, for one, but secondly, I am just not a renter. Do you put things on the wall? How do you settle? I am just a nester. 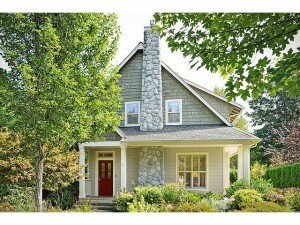 For my sanity I knew we needed to find our next home to buy and not do a transitional rental. For us it worked and it worked well. We found a decent house in a great location. We later gutted the house and made it our own, but the fact that we were settling in to our neighborhood and school and putting down roots right away was huge in our transitional process. Right now available inventory is not on the buyer’s side (in fact inventory is at historically low levels – read more about that here) so, many buyers are looking to rent as the next viable option since the house is not out there at the moment. And these wanna-be home owners are in turn making the rental inventory tighter. I see some clients who do fine as renters. They are so gung-ho about moving to a new place they do just fine settling in and meeting people. But, other times, usually when there is one party in the couple who is less gung-ho about the move, I see renting as a major contributing factor to families not settling in or transitioning well. Life is just not the same in a rental. Most likely you will rent in a different neighborhood than where you will buy and perhaps be in a different school district too. As a renter, people can be less invested in making friends or settling in. They do not want to go through the effort for a temporary situation. Renting can be seen as a great trial period to say, try Bainbridge on for size, but I see that trial period as a limited version of the real thing. Sort of like only having access to Hulu versus Hulu Plus. You are not going to have the same experience, and in the end, you could be less likely to fully commit to living on Bainbridge long term. I know if we had rented I probably would not be here right now. My husband was the cheerleader for our move. I knew Bainbridge was the right move for our family, but when we moved I left family, friends and a really good career in California. I had a lot of things to miss, mourn, and rebuild after our move. And six months in, during a dark December on Bainbridge, if I could have run back to California and ditched a rental, I probably would have. Because yes, at that moment it would have been easier. I have been honest before in other postings, that I think it takes two years to feel like you are home. The first year is a roller coaster ride. I recall loving Bainbridge and then hating it. The first year is very bogged down with the logistics of moving physical stuff and paperwork and changeovers. It is so hectic and yes, just plain exhausting. 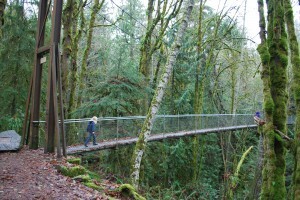 It was not until the second year that I felt like I had time to truly explore and discover Bainbridge. In year two I hit the trails, parks and quaint shops. In year two, I realized I was spening more time outdoors than I ever did in California. In year two, I put pictures up on the wall (yes it took me that long) and I finally felt like I was home. In year two I got my feet on the ground. And yes, anytime before that I think I probably would have used those feet to bolt back to that comfortable environment of the ‘known” in California. I predict with more people renting we will likely see some more of that happening. I have seen this once or twice with clients in my eight years here already. For one family they looked for ten months and then moved back to the east coast. I certainly felt like they abandoned ship much too early, but the fact that they rented gave them that easy out. Since I am often the one talking my buyers out of “settling” on a house (I know not a good business model in the sales world) I am often the one helping them find temporary housing. A lot of different options exist on Bainbridge. If you are like me and you feel like you are not a renter, I suggest going into a short-term furnished rental on a month to month basis. Since we are a vacation destination, we have a lot of rental options here. That way you can pounce when the right house comes up and your rental period is as short as possible. If you are more open to traditional renting I suggest you get the shortest lease term possible, say three months with a month to month option after that. If you have to pay a bit more for that shorter lease term, I think the flexibility is worth it. I also suggest you try and find a rental in the area you’d like to buy. If you want to be on the south end, rent on the south end. But minimally, if you have kids, getting in the school district you want to be in should be a goal. 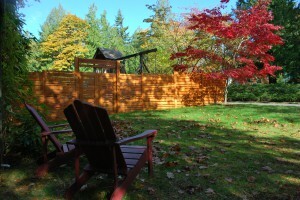 Please email me if you are interested in a list of short and long term rental options. Mentally Unpack . . . If you are entering into a rental or renting right now, you are in a trial period yes, but remember your rental is likely temporary and not your eventual reality. You will have a different mind-set once you have purchased and moved into your home. For many people, only the commitment of a purchase allows you to fully unpack mentally and physically. But, don’t worry, you’ll get there. Our Winery list is a pretty good one, considering we a small island. The full list and links are below as well as a list of tasting rooms. The Winery Alliance of Bainbridge Island coordinates collaborative events for all the wineries and is a great resource for islander wine lovers or those visiting the island to explore. All seven wineries listed below are open for tasting. Visit their linked sites for hours and special events. Amelia Wynn Winery – A craft winery established in 2008 producing Bordeaux, Rhone, and Northern Italian varietal wines. 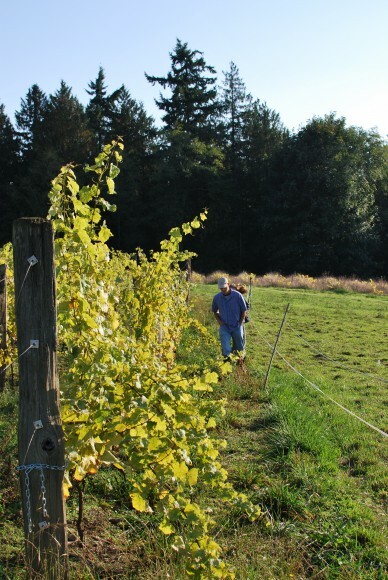 Bainbridge Vineyards – A winery that produces approximately 1,200 cases of hand-crafted wines annually made exclusively from Island-grown grapes and fruit. Eagle Harbor Winery – Eagle Harbor Wine Company sources most of its grapes from the Walla Walla Valley AVA, specifically from blocks at Dwelley farms vineyard. They produce approximately 2,500 cases a year. Eleven Winery – A small, family run winery, Eleven produces about 2,000 cases of wine each year using Washington grapes. Perennial Vintners– Specializes in the delicate wines from the maritime-influenced cool climate viticulture of the Puget Sound AVA. They’ve pioneered the establishment of an underappreciated grape named Melon de Bourgogne here in the Seattle area. Rolling Bay Winery – Specialize in creating limited quantities of hand crafted premium wine from grapes grown on Snipes Mountain, one of Washington State’s newest AVAs and oldest vineyards. Harbor Square Wine Shop and Tasting Room | 756 Winslow Way E • 206.780.1626 –From the ferry terminal look for the colorful, modern, condo development. They are on the street level facing the ferry parking lot. Island Vintners | 450 Winslow Way E • 206.451.4344 –A collaborative tasting room for Amelia Wynn Winery and Fletcher Bay Winery. On Winslow way, just steps from the ferry dock. Eagle Harbor Winery | 278 Winslow Way E • 206.842.4669 –Tucked back in the Winslow Mall. A short walk into town, they are on the north side of Winslow Way. Eleven Winery | 287 Winslow Way E • 206.780.0905 –A fun tasting room that opens at 1pm every day. Just next door to the Town and Country Market on the south side of Winslow Way. Fletcher Bay Winery | 9415 Coppertop Loop • 206.650.4753 -An under ten minute drive from the ferry, this tasting room is worth the trip. Also in the same complex are Bainbridge Island Brewery and Bainbridge Organic Distillers. One of the great things about living on an island is water and water sports. 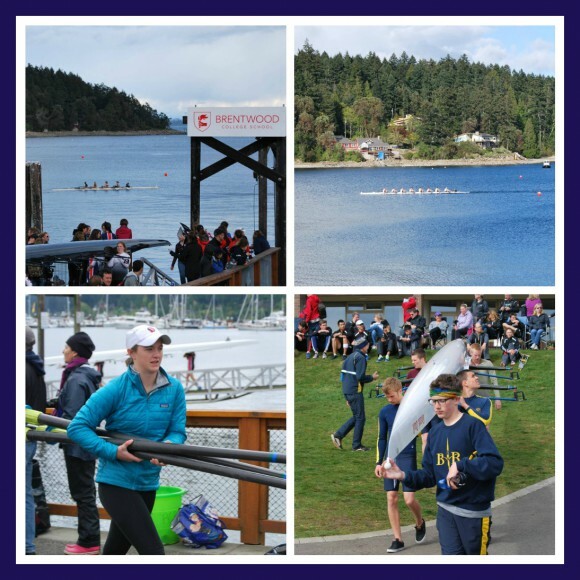 The Bainbridge community is lucky to have a rowing club on the island – Bainbridge Island Rowing Club. My oldest daughter participates in the Junior’s Program, which is a year-round club sport, but in the spring it is also a school sport at Bainbridge High School. Right now we are right in the middle of the spring rowing season. The spring season consists of three multi-day regattas, and a handful of local scrimmages. 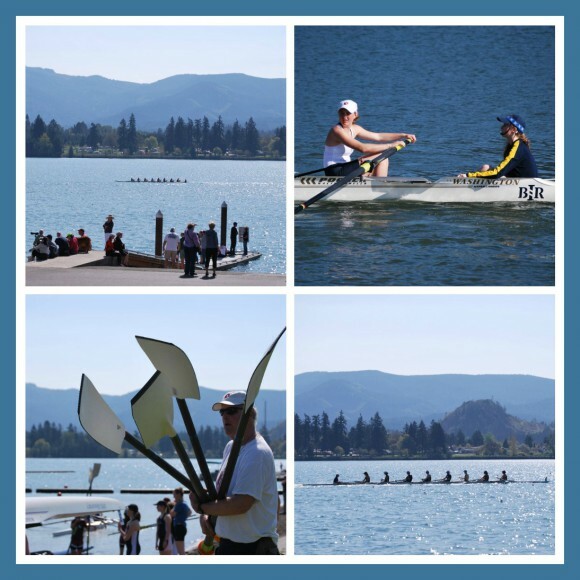 Over the past few weeks the team has been down in Eugene, Oregon for the Covered Bridge Regatta, Mill Bay, British Columbia for the Brentwood Regatta, and in a week we will be down at Vancouver Lake for the Regionals. Beautiful venues. A lot of travel, but so much fun. A terrific group of athletes and parents. The club also has a Master’s Program, which is also popular on the island for adult rowers. Another reason, to love Bainbridge – a diversity of sports. Beyond the basics like soccer and baseball/softball, the island is also fortunate to have access to a variety of sports like lacrosse (boys and girls), roller hockey, rope skipping, gymnastics, and of course, crew. Click on the highlighted links to find out more about each group.